→What’s the Best Clumping Litter for Multiple Cats? What’s the Best Clumping Litter for Multiple Cats? Cats are some of the best animals to have as pets. There’s a reason the furballs are so popular and found in many homes these days. Unlike dogs, you don’t have to do much to take care of a cat. There’s rarely any baths, and you don’t have to take these furry friends on walks every day. Nope! With a cat, you just set up a litter box and make sure their bowls are filled with food and water. The process is pretty straightforward. However, no one likes dealing with a dirty, stinky litter box. Sure, cats are pretty easy to take care of, but cleaning the litter box is never fun. What is Clumping Cat Litter? Enter clumping cat litter. If you’re like me and don’t like dealing with or smelling the litter box, then hear me out. Clumping cat litter can make the process of changing and cleaning where your cat uses the bathroom much better. Clumping cat litter mainly clumps up into little balls when your cat uses the bathroom. Whether feces or urine is present, the litter clumps around it and contains the smell. The litter is usually made of bentonite and controls odors. However, natural options have recently hit the market and are rapidly growing in popularity. After your cat is finished, the balls form and you can quickly scoop them out of the box without changing all the litter or dig around. Plus, most have found that clumping litter tends to last longer than others litters. Natural or Not? : While this won’t have a huge effect on your cat, there are all-natural clumping litters that are easier on the environment. These brands are typically biodegradable and won’t just sit in the landfill for decades upon decades. Can You Flush It? : Some litters can be flushed right down the toilet after you scoop out the clumps. Others cannot. If you keep your litter box in the bathroom, then this can be a useful feature. Odor Control is Important: Litter boxes stink, even ones filled with clumping litter. You have to change or clean them often. Still, a scented, odor controlling litter will be incredibly useful in keep the box smelling semi-fresh between scooping. How Many Cats? : There are specific clumping litters designed for homes with multiple cats. 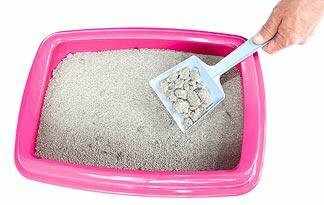 Cats often will stop using a litter box if they smell the waste of other cats, but you can change that by using the proper litter in your home. Now that you understand a little bit about clumping litter – let’s look at some of the better options available. We tested dozens of cat litter brands and types before settling on this list. When you want clumping on a budget, this may be the best brand for your furry friends. 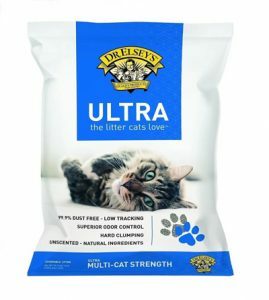 Not only is Precious Cat Ultra Premium well-priced, but the stuff doesn’t harbor any harmful dust particles or chemicals like other cheap brands. Offering exceptional odor control and perfect for multi-cat households, this litter can be used in automatic boxes and traditional ones. Due to the “hard clumping” nature of this litter, it’s exceptionally easy to get rid of, too. The name says it all! 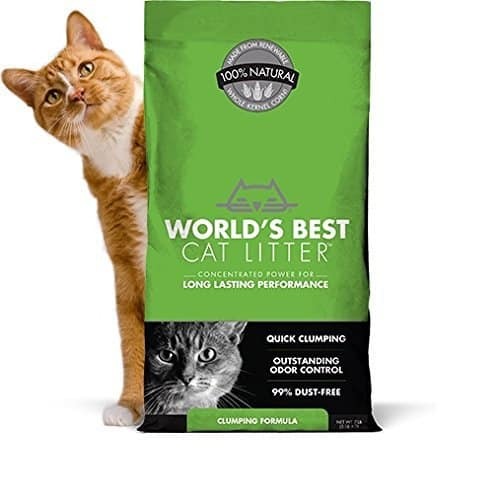 This clumping litter is the highest quality we found. However, that comes at a cost. You’ll only want to get this if money is no object. If that’s you, then you’ve found the perfect cat litter for all your furry friends. This litter absorbs incredibly well and masks nearly all odor. We were baffled how well the litter box smelled when we filled it with this stuff. World’s Best uses all natural ingredients and offers a dust-free formula. 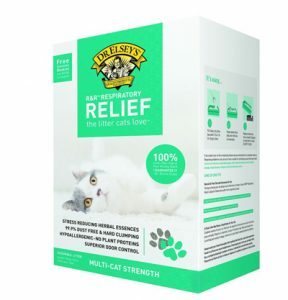 If your furry friends suffer from allergies, then Precious Cat Respiratory Relief Clay Premium All Natural Cat Litter may be just what the doctor ordered. This all-natural litter doesn’t have any weird perfumes or chemicals. It was created to control odor naturally and is perfect for multi-cat households. You can use this litter in automatic boxes or traditional ones. There isn’t too much dust with this litter, but it’s not dust-free. We were also very pleased with the quality of the litter compared to the price. Clumping cat litter can be a cat owner’s best friend. You just need to know which type of litter fits your situation. Above you’ll find some of the best cat litters on the market and why they’re so good. Use the information to buy the perfect clumping litter for your cats and home. What do I do with my cat if I go on vacation? What Are Cats Allergic to? Do I Really Need a Cat Water Fountain? When are Cats Fully Grown?